McALLEN — Much has been said leading up to today’s special election, and now voters will have the final say in the race for the District 1 seat on the McAllen City Commission. 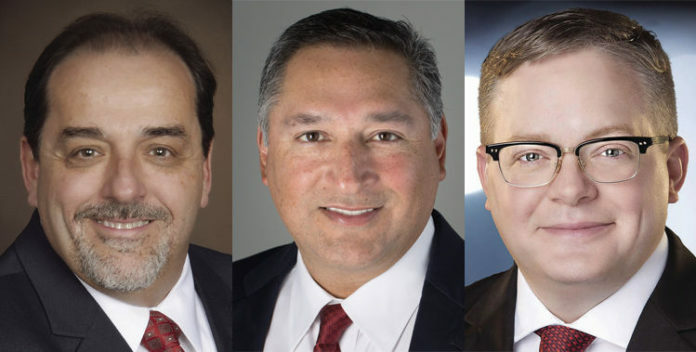 Candidates vying for the remainder of the term of now-former Commissioner Richard Cortez, whose post was vacated upon his entering the county judge’s race, are Joseph M. Caporusso, Javier Villalobos and Timothy Wilkins. Voters can cast their ballots in the District 1 special election through 7 p.m. this evening at Gonzalez Elementary, located at 201 E. Martin Ave. in McAllen, according to the city website. Caporusso, a podiatrist, has referred to his experience serving on several boards as having “leadership where it counts.” Such experience includes tenures on the McAllen school board, the convention center advisory board and Friends of Quinta Mazatlán. Wilkins, owner of Sofie’s ‘SS’ Saloon and CEO of CADTax Property Tax Consulting, has long stressed the need to spur new development in McAllen and believes his experience as “a small business guy my entire life” makes him the right person for the job. Check back at themonitor.com for tonight’s results.